I was fortunate enough to find out about the inaugural Blackhawk Cars and Coffee event http://www.blackhawkmuseum.org/carsncoffee.html a few days before it happened. 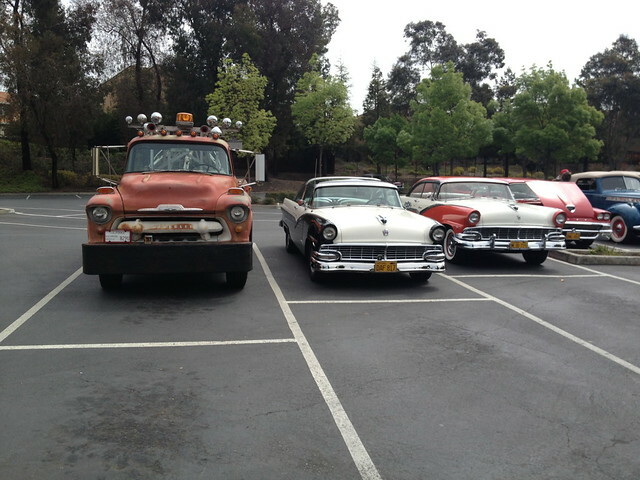 I took the 57 Wrecker. It was a huge hit with the museum staff and the kids. I try to take the wrecker to as many of the Cars and Coffee's as I can, people are always excited to see it. Even Ferrari's aren't immune to a little birdy bombing. A gratuitous shot with some classics at the end. 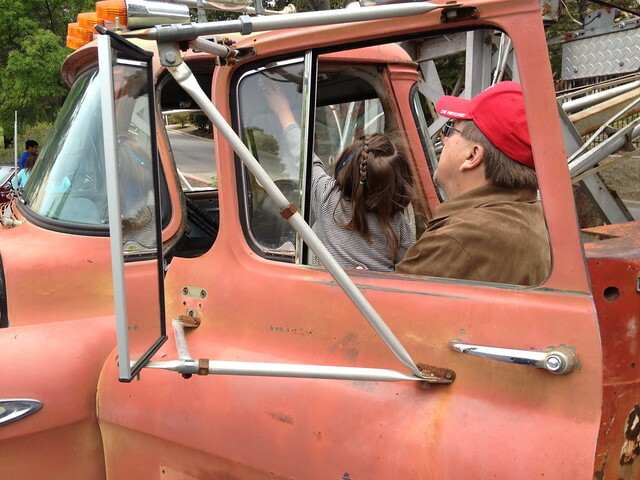 Don, I just love that wrecker, I recently picked up a 1957 Chevrolet 6100 series. I went online looking for any information on parts for her, I found some but was very happy to see your "Mater" and have enjoyed reading your posts about it, very cool. If you could be so kind as to offer me any connections you may have found for parts etc. I would really appreciate it. I am located on the south side of Denver, Colorado. Peter, happy to help where I can. Would love to see some pics of your truck and discuss. my email is (donnoman AT donovanbray.com). A considerable part of the cab is shared with the task-force consumer line of trucks and my goto place is lmctruck.com I've had good experiences with ecklerstrucks.com as well. Don't forget your local NAPA. Many of our parts are still in stock if you have a good parts guy. I like the event and your truck shows very good. keep it going.